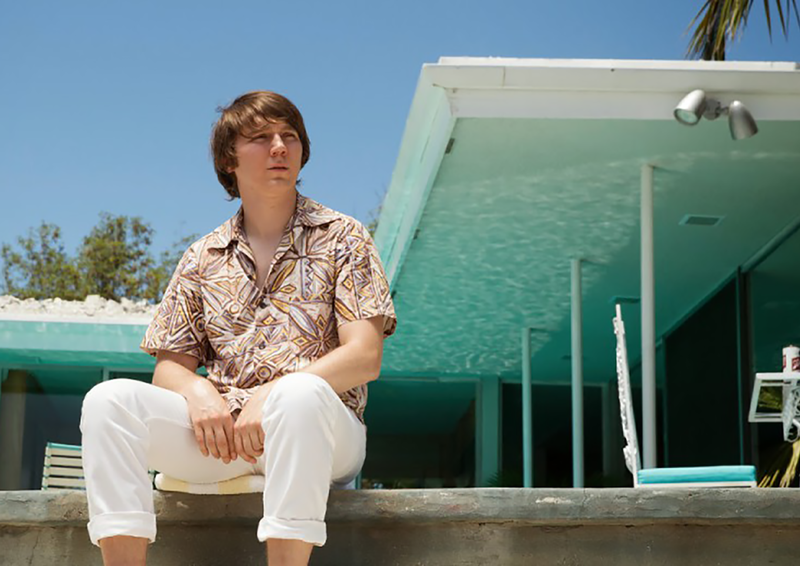 A tender biography of musician Brian Wilson, Love And Mercy explores two episodes in the life of the Beach Boys' songwriter: as a young talent at the peak of his creative process, and 20 years later as an older man struggling to find love and regain his footing in the world. The film unfolds in parallel narratives. In the mid-1960s, the Beach Boys are at the peak of their popularity. After suffering a panic attack, the band's inspiration and main songwriter Brian Wilson (Paul Dano) abandons the latest tour and returns to the studio to write and prepare the recording of the album Pet Sounds. Despite creating a wildly innovative sound, Wilson faces a mountain of criticism for veering towards a more serious musical direction and abandoning the band's successful formula of simple and fun surf tunes. In the second narrative, it's the 1980s, and an older Wilson (John Cusack) meets Cadillac saleswoman Melinda Ledbetter (Elizabeth Banks). They start a romance but Melinda soon discovers that Brian is a deeply distressed man, suffering under the controlling hand of Dr. Eugene Landy (Paul Giamatti). Landy manipulates Wilson emotionally and keeps him on a steady diet of medications. Melinda has to decide how badly she wants to fight for the chance to salvage a true relationship. Directed by Bill Pohlad, Love And Mercy closely follows the facts and unveils the ups and downs of superstardom, as expectations collide with personal ambition to create emotional train wrecks. The film is excellent at capturing a deeply personal drama as the young Wilson fights the demons of his upbringing and the desire of his bandmates to keep churning out hits. Instead he unleashes his instrumental and harmonic creativity with some substantial help from mind-altering substances, a decision that cements his status as a genius songwriter and sows the seeds of his decline. The more modern narrative is almost equally compelling. Wilson the grown man is a shadow of his former self. Years of drug abuse led him into the clutches of Doctor Landy, and smelling a big pay day, Landy assumed control of Wilson's life. The romance between Wilson and Melinda is handled with the maturity that comes when adults carrying plenty of luggage fall in love, and the strength of their nascent bond becomes the foundation on which Melinda will decide to make her unlikely stand. Pohlad recreates a carefree 1960s filled with parties, music and the heady promises spawned by early success. The film's best moments are in the studio, as Wilson works with experienced session musicians to bring his ideas to life, Love And Mercy a rare film that invests the time to show the hard work behind seemingly effortless creativity. The film peaks with Wilson and the band conjuring up the single Good Vibrations, an iconic song that defined the band and its generation. Good Vibrations was the massive hit that wasn't on Pet Sounds, but it could only have been created in the album's wake. The 1980s segments are good, but just a bit less inspired. Landy emerges as a smarmy villain, and the battle for Wilson's soul between the evil doctor and the well-intentioned Melinda is still remarkable for being true. But the resolution is rushed, Pohlad's admirable dedication to tell two stories finally catching up with him and the 121 minutes of running time. 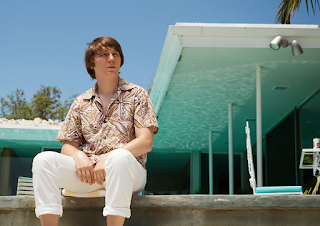 Both Paul Dano and John Cusack are excellent in portraying Brian Wilson at very different stages of his life. Dano creates a wide-eyed artist still not quite realizing neither the enormity of his talent nor the trouble he is hurtling towards. Cusack is all about Wilson as damaged goods, a fervent spirit still residing deep in his heart but for the moment concealed by years of abuse, both self-inflicted and dished out by the likes of Landy. Elizabeth Bank is a revelation as Melinda Ledbetter, a woman who has to convince herself that she has the inner strength to both love and fight for a passionate artist in trouble. Love And Mercy treats its subject with deserved respect, a slice of musical history that transcends an over-hyped industry to celebrate an often overlooked prodigy.